Democrats like House Minority Leader Nancy Pelosi and Sen. Elizabeth Warren, D-Mass., often decry Republican policy proposals as “unfair” or as catering exclusively to the rich. But this couldn’t be further from the truth—and Americans know it. Since President Donald Trump took office, Democrats are 0-for-4 against Republicans in special elections. The American people aren’t buying liberal policies. This is because the past eight years of liberal leadership led to an incredible increase in Washington regulations that destroyed job growth and hurt the Americans who Democrats so loudly professed to help. The left’s massive financial bill, known as Dodd-Frank, created over 27,000 regulations. Small businesses have no hope complying with that many rules. It should come as no surprise why our economy has struggled to grow over the past eight years. Conservative policy proposals are designed to change this. We’re looking to create jobs by cutting through the complex bureaucratic mess and allowing Americans to be rewarded for their hard work. Unlike Democrats, who see more government spending as a solution, conservatives are working to get the government out of the way of economic growth. The first major step of this is to update our antiquated tax code. Simplifying our tax system will help lower prices for consumers and allow companies to create new jobs. The tax code has become so complex that it’s grown to over 74,000 pages. 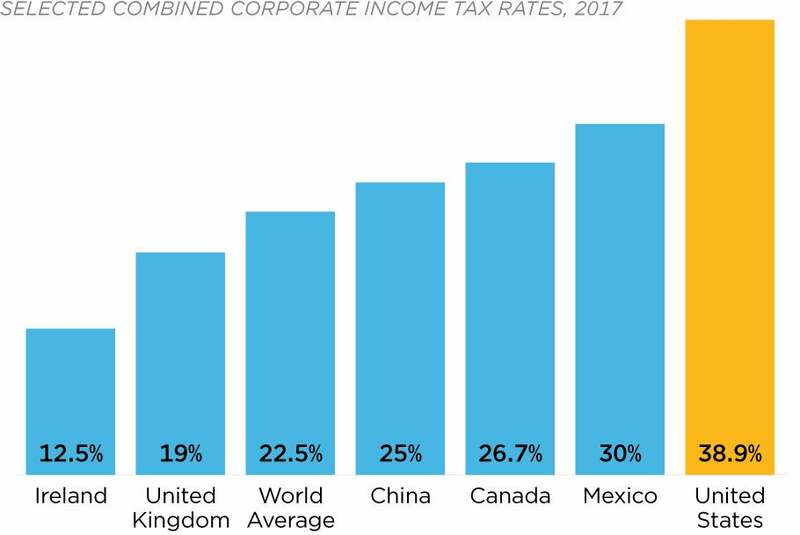 Most would be shocked to learn that America has the third-highest corporate tax rate out of 188 countries—a fact that you won’t hear Senate Minority Leader Chuck Schumer mention—or that some American business owners pay a combined tax rate that exceeds 50 percent. Simply put, our government’s ancient tax code is destroying our economy, and the left seems to be OK with allowing this to continue. Our current system forces all Americans to pay for those high business taxes through higher prices. The burden of our current tax code also lowers wages and limits potential job opportunities. This is unfair. Hard working Americans shouldn’t have to pay higher prices for their groceries or struggle to find a job because of their government’s fiscal irresponsibility. I believe the government should promote and reward small businesses that create jobs, rather than tax them out of existence. This is why I’m excited to work on commonsense tax reforms that will allow all Americans to prosper. We now have a once-in-a-lifetime opportunity to enact conservative policy solutions to fix this problem. Note: This article was updated to clarify that Democrats are 0-for-4 against Republicans in 2017 special elections. One Democrat, Rep. Jimmy Gomez, defeated another Democrat in a California special election.